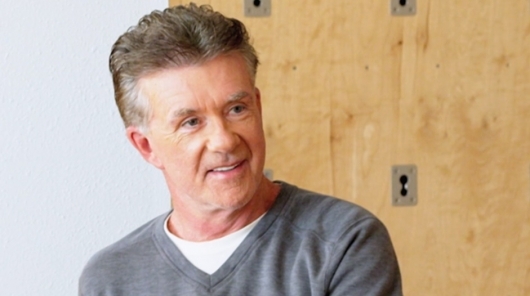 One of the all-time great TV dads, Alan Thicke, has died at the age of 69. Thicke, a massive hockey fan who often played in charity games with legends of the sport and other celebrities, was reportedly playing hockey with his son when he suffered a heart attack and was taken to Providence St. Joseph’s Medical Center where he later passed away. Thicke is best known for playing Dr. Jason Seaver on the hit ABC sitcom Growing Pains. The show ran for 167 episodes from 1985 to 1992, and also starred Joanna Kearns as Thicke’s character’s wife, and Kirk Cameron, Tracey Gold, and Jeremy Miller as the character’s children, with Ashley Johnson playing the suddenly much older youngest child for the last couple of seasons. A homeless teenager (played by Leonardo DiCaprio) was brought into the family during the show’s final season.